In our ‘Dispatch From Davos‘ write up last week, we shared about the Fourth Industrial Revolution being referred to as “the greatest transformation” human civilisation has ever experienced. The reasons? The Reach. Unlike any other industrial evolutions we have experienced, this time, with current technological advancements, we are able to go way beyond simple dimensions of ‘doing.’ In other words, technology is not just evolving the way we do business. For example, how we manufacture and produce things; it is actually evolving the way we consider and use our planet’s resources, the way we bond, the way we learn, and the way we work and govern ourselves. Its scope, speed, and reach are unprecedented. The Impact. The current technologies are running on knowledge, meaning we have access and availability to collect, merge, and interpret immense amounts of data. Many states, businesses, and institutions already run on data. Further, with advanced algorithmic technologies like artificial intelligence, they are able to analyse the large chunks of data they have access to, to understand how we, human beings, function physically, psychologically, and spiritually. For the first time in human history it may be so that a company or an entity knows more about us individually and collectively than we know about ourselves. The Gap. Though we have advanced tremendously as a society over decades, we continue to struggle with immense gaps in equality, access, free-will, environment resources, and inclusion. If humanity is going through a transition, will our businesses, too? You bet. One study suggests that 75% of the S&P 500 will turn over in the next 15 years. Another says that one in three companies will delist in the next five years. A third shows that the “topple rate” of industry leaders falling from their perch has doubled in a generation. It is all about value creation through experience in 21st century. What will transform in organisations then? 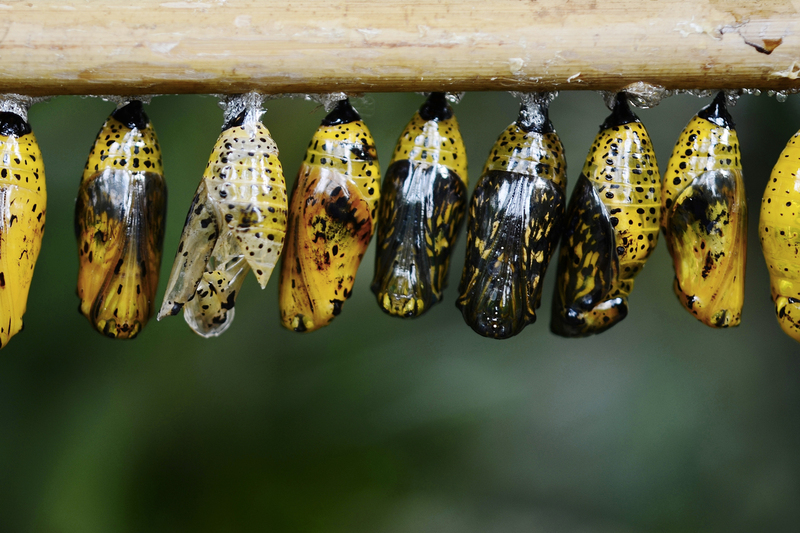 There is often two kinds of transformation efforts in organisations: Strategic and operational. We think there will be a third and a very important category to 21st century transformations around culture. In an increasingly digital world, where transparency is on demand and employees, customers have greater influence, we all expect a meaningful, productive, engaging work experience. Therefore, organisations will be positively challenged to recreate innovative, integrated, inclusive experiences. 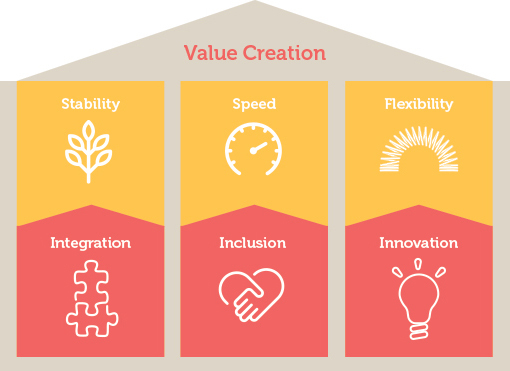 Further, we believe (business & hr) leadership needs to be in the heart of these transformation. On Change… Back to Basics. ‘Change’ refers to a process of becoming different. It can also refer to turning one thing into something different, or even replacing, transferring, or evolving it. The emotion of change is the biggest catalyst to change itself. Not knowledge, or the ‘what’ of the change. And not the content, or the ‘how’ of the change. It’s the emotion – the ‘why’ of the change. People don’t buy what we do, they buy WHY we do it. To invite and manage change effectively into an organization, however, requires a comprehensive understanding of human development and organizational psychology. In his book, Reinventing Organizations, Frederic Laloux describes so eloquently how humanity has evolved from the earliest forms of human consciousness into the complex consciousness of modern times. He explains how humanity evolves in stages and how there is an ongoing evolvement, a growth that defines our values and paradigms we work under. Organizations are no different. When we think of changing a process in an organization or the organization itself, we need to think of a continuum. The level of consciousness an organization goes through from the initial introduction of a ‘change’ to consumption of that ‘change’ is a timeline. That timeline will differ, depending on a set of variables, but for any mid-to-large size change in an organization we would be looking at about 1 to 3 years of evolvement. That doesn’t mean operations have to stop and everyone focuses on the change during that period of time. No, the show must go on! The organization needs to run. It does mean, however, that the change needs to be planned, scoped, scaled, and maintained right next to day-to-day priorities to complement one another, not hinder. It needs to offer a level of flexibility for our basic needs and emotional cycles. And you will undoubtedly start seeing positive impacts of the change in those first three months. Getting people matters right is essential for any sustainable lean-management effort, for ultimately much of the point of a transformation is to help people achieve more—build their capabilities, increase their capacity, intensify their engagement, and develop deeper connections between purpose and meaning. One of the very core reasons as to why organisational transformation efforts fail is because leaders tend to start driving immediately without creating the right channels to gather data and feedback from key stakeholders. The great transformation is not only about digitalisation and automation does not make a leaders’ role redundant. If anything, it amplifies the role of leadership in as it allows for better data gathering and mastery of renewal energy. Let us step up to it!